NYC Accessible was created to improve the daily lives of hundreds of thousands of New Yorkers with disabilities. Every day, people navigate the already complex NYC Subway system burdened by additional challenges. Only 18% of all stations are ADA accessible. Many times, people with disabilities travel to a station, only to discover an elevator they need to use is broken. 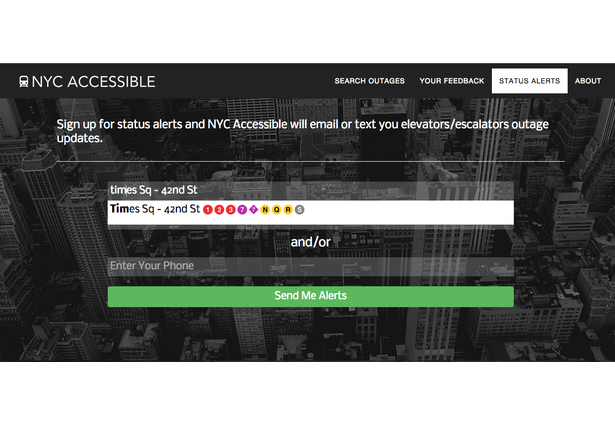 So, Andy Glass (Web Developer) teamed up with Jason Schwab (Recreation Therapist) to build technology that alleviates the difficulties faced by people with disabilities when using the NYC Subway system. 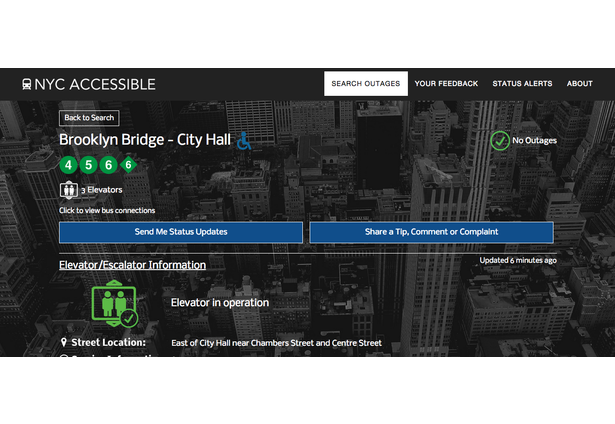 NYC Accessible users can easily retrieve up to date accessibility information on Subway stations, including ADA accessibility, all elevator/escalator locations and service information, and current elevator/escalator outages. For stations out of service, users can view the estimated return date. 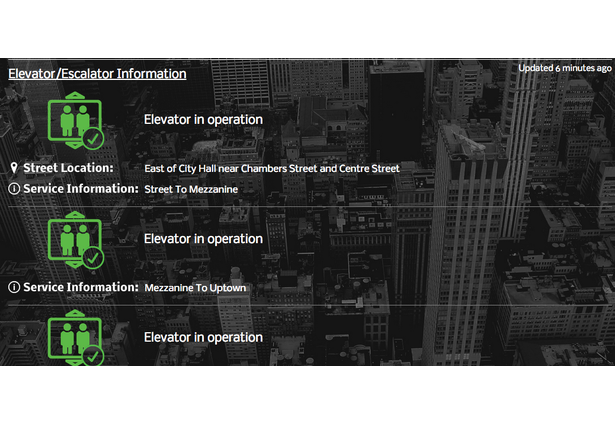 NYC Accessible also offers email and SMS text message alerts for elevator/escalator outage updates. SMS messages are particularly helpful to serve those New Yorkers without smart phones. 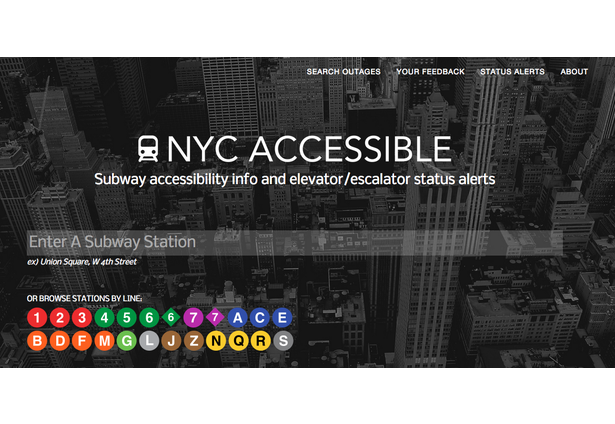 NYC Accessible was constructed to allow New Yorkers to share their thoughts/insights about the subway system. New York's disabled community has a unique view into Subway accessibility. 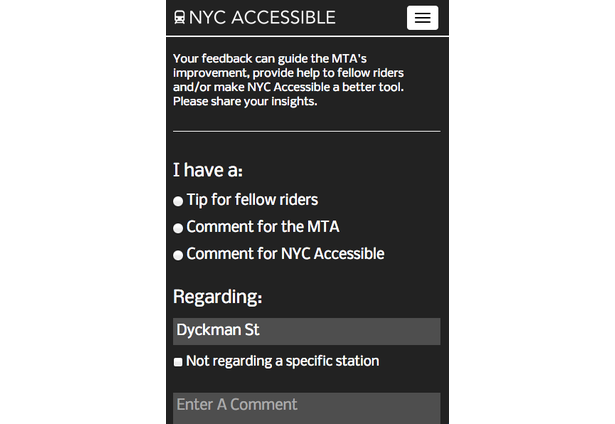 We wanted to encourage members of the community to share their thoughts and improve the MTA. 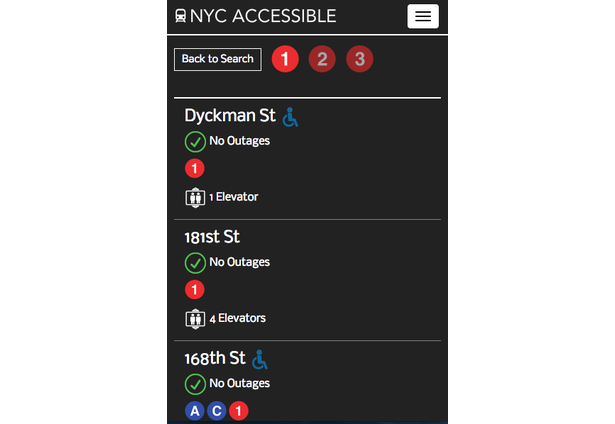 NYC Accessible is not about providing information from the MTA to New Yorkers with disabilities. Rather, it's goal is to serve as an intermediary to improve the exchange of information between both. 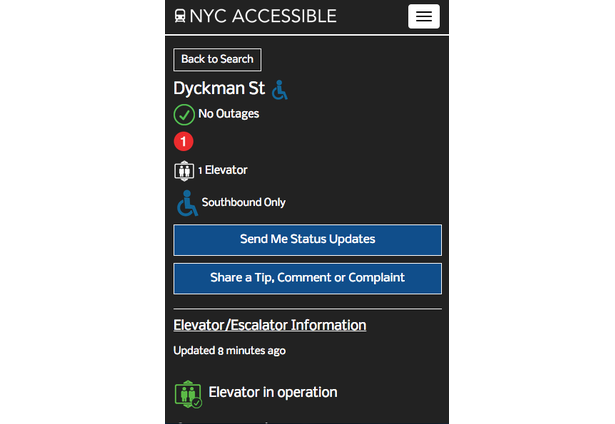 While some of the information on the site is available via the MTA, NYC Accessible consolidated and enriched the data into a format that is easy and pleasant to consume. It was designed to be used by the disabled community and is available on mobile, desktop and via screen readers. The email/SMS alert system doesn't require a log-in, so it's simple to subscribe or unsubscribe to alerts. We have been humbled by the reception by people who have tried out the site and we are excited about the huge impact this can make to improve the quality of life of so many of our fellow New Yorkers. Further, we are inspired by the idea of using NYC Accessible as a springboard to creating technology to improve transportation for disabled communities around the world. Comments for this submission are closed. View the software in andrewglass1's portfolio to continue the conversation.